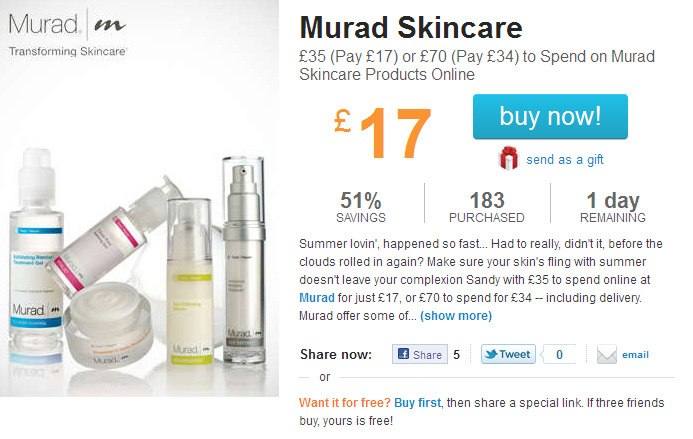 Over at Living Social, they’ve got a cracking Murad Skincare offer which is only live for a little while longer. Spend £17 and receive £35 worth of store credit for Murad.co.uk, a solid bargain for anyone wanting to dip their toe into a high-end skincare brand. Perhaps you’re considering your first foray into anti-aging products or just want something a bit special to tackle those Summer oilies? Either way, a 51% saving from an official supplier is not to be sniffed at!